Our understanding of the life and legacy of the Vidyadhara Chögyam Trungpa Rinpoche during his early years in Tibet has taken on fresh meaning and richness in the last decade as a result of the connecting of the Shambhala community directly with Surmang Monastery. This began with Surmang Khenpo coming to the U.S. in 1998, and especially the visits of Sakyong Mipham Rinpoche and other members of the Mukpo family beginning in 2001. 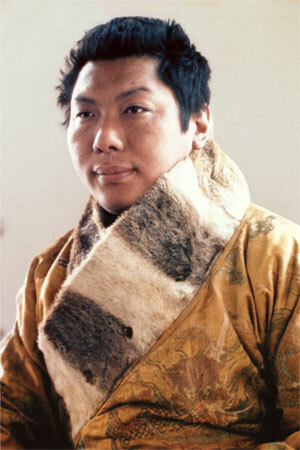 Until that time, the work of Karma Senge Rinpoche, nephew of the Vidyadhara, was unknown to us. His efforts are paramount, as he has dedicated his life to finding, collecting, and transmitting the treasure teachings (termas) and other writings of the Vidyadhara from his youth in Tibet. It is also due to the work of the Nalanda Translation Committee, which has been working to translate these materials. It is our hope that on the occasion of the twenty-fifth anniversary of the Vidyadhara’s parinirvana this modest exhibit will help increase our understanding and appreciation of the supreme realization the Vidyadhara achieved at a very early age in Tibet.